Our local university, Shenandoah, has a very highly regarded music department. 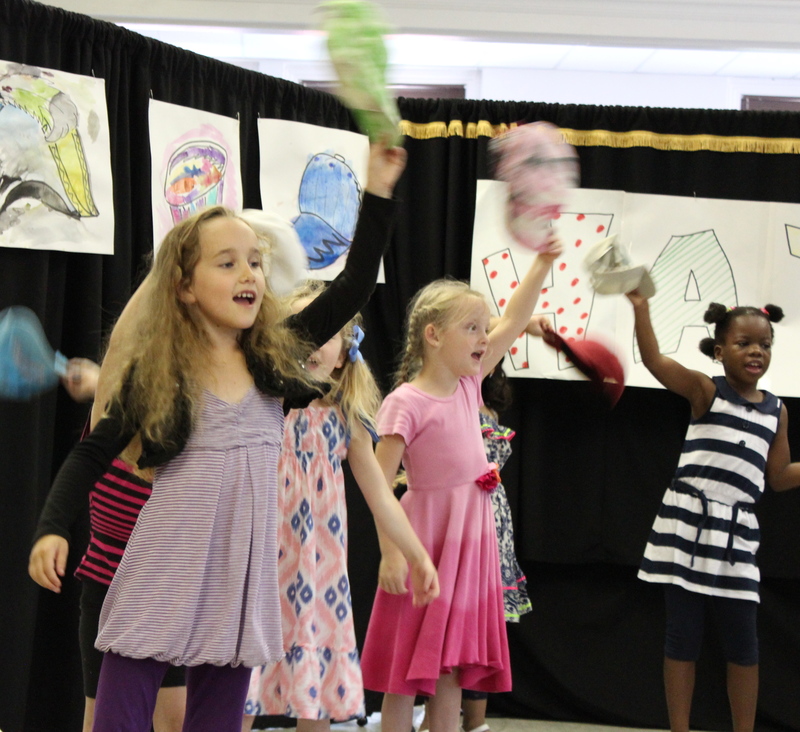 The Shenandoah Conservatory not only provides undergraduate and postgraduate study for college students from all over the world, but it also offers music, singing, dance and theatre classes for the children of Winchester through it’s arts academy. 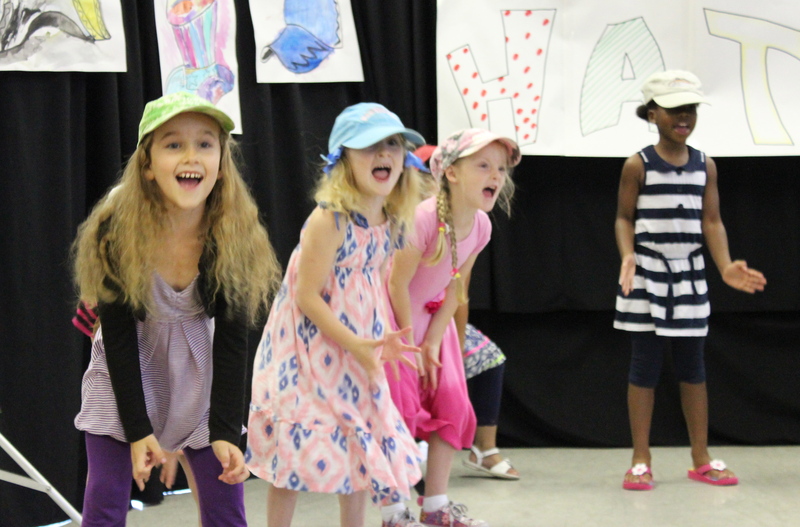 Last week Olive and Edie took part in a Burning Up Broadway themed summer camp run by the arts academy. 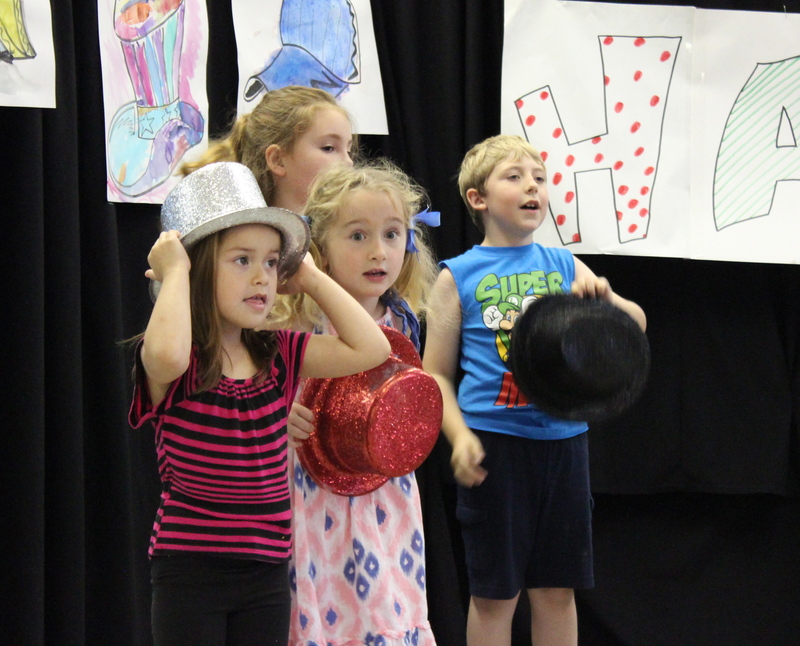 Over the course of five mornings they rehearsed and then performed a musical called Hats! The stage is set for Hats! 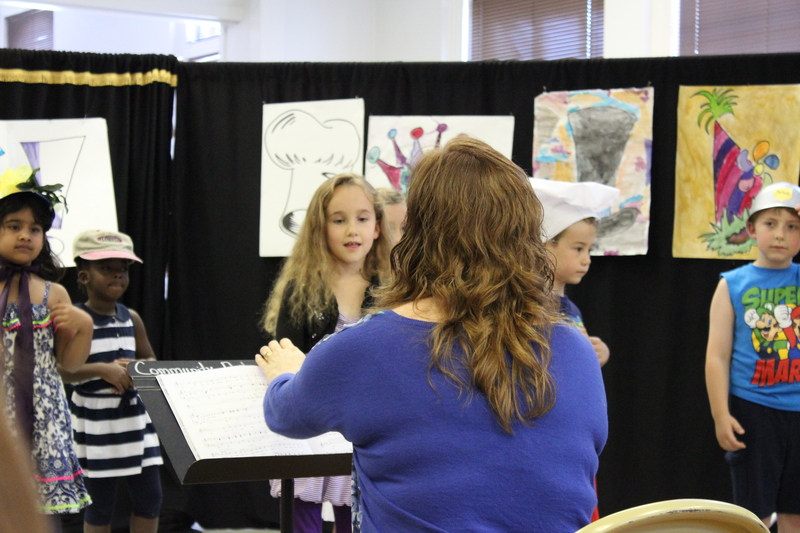 They had to learn songs, dance routines, lines of script, and also make the scenery and props. 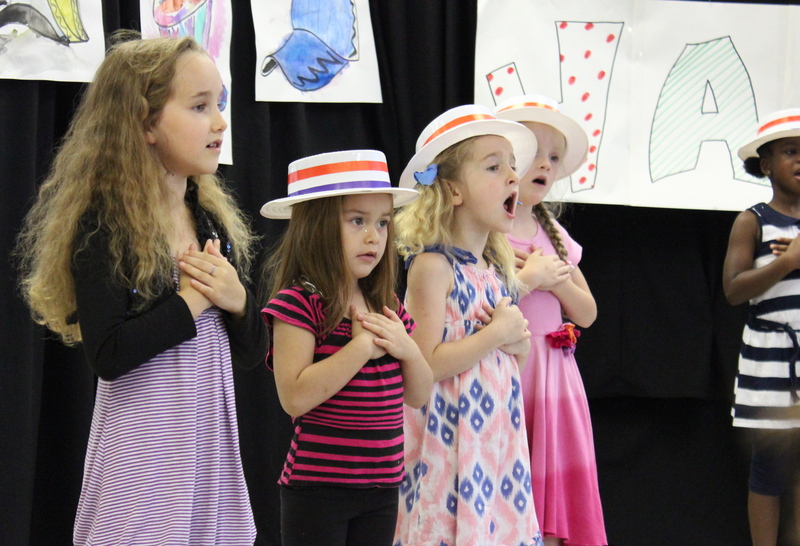 On the Friday morning they performed the show for invited parents and friends. 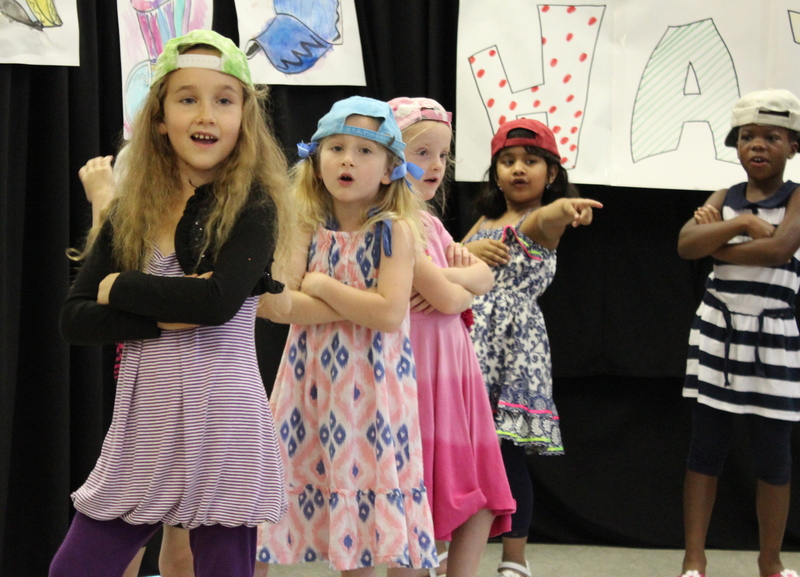 Edie’s teacher in Belgium – the wonderful Miss Sarah – wrote on her school report that she is “a true performer”. That was clearly evident on Friday morning! 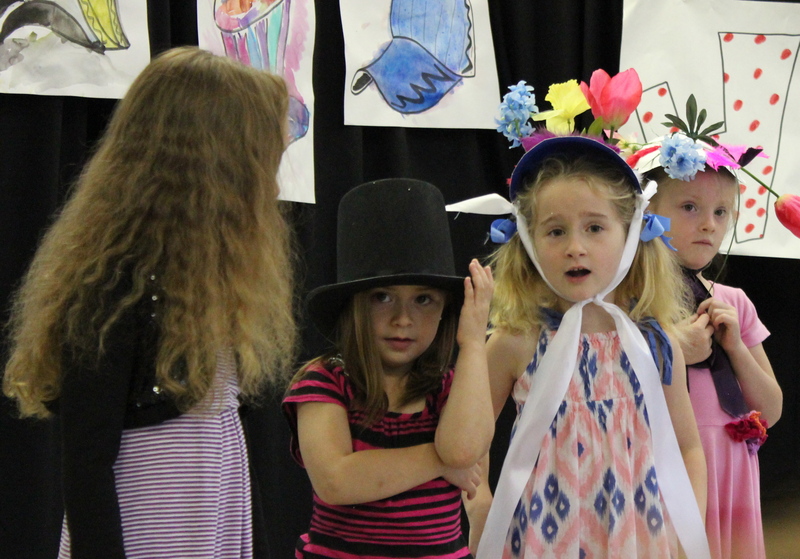 Delivering one of her lines, dressed in her beautiful hat. 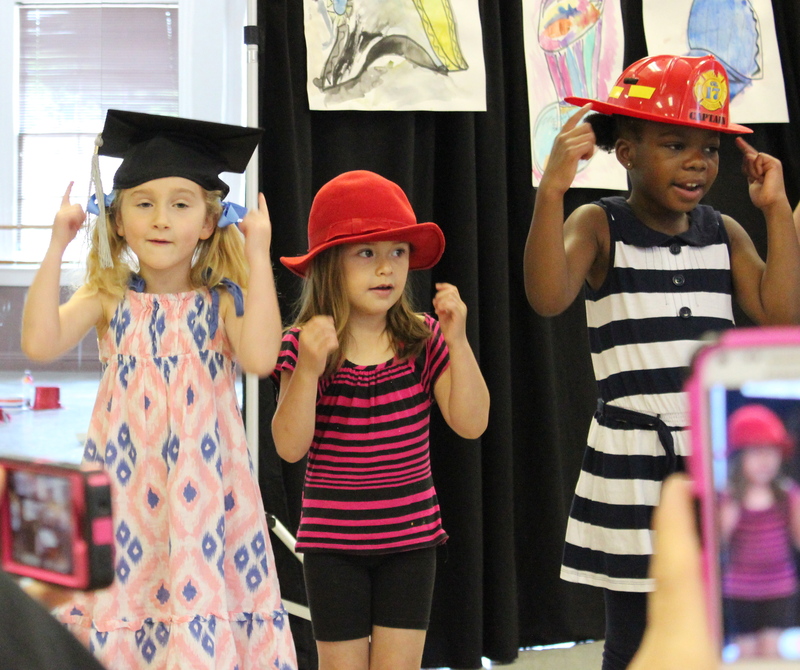 She even got to sing a tiny solo about the special hat one wears when graduating. Don’t you love all the technology in action recording the show! 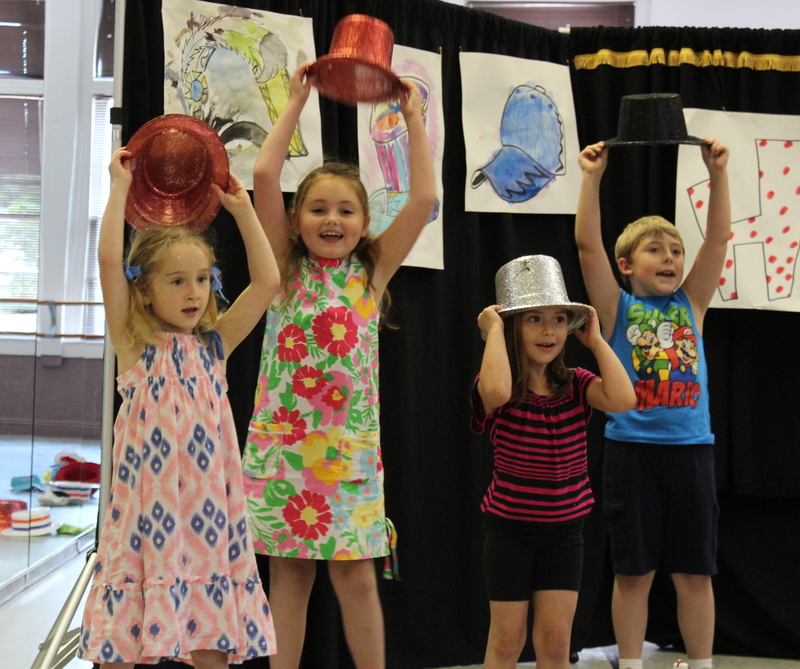 Olive’s character Ima Milliner didn’t have a hat and Olive had to sing about her search for the perfect hat. The notes were pretty high but she was in tune – mum tried not to sniff too loudly! A couple of old hats! Boom boom! This song was all about sporting hats but Ima didn’t want one of those. 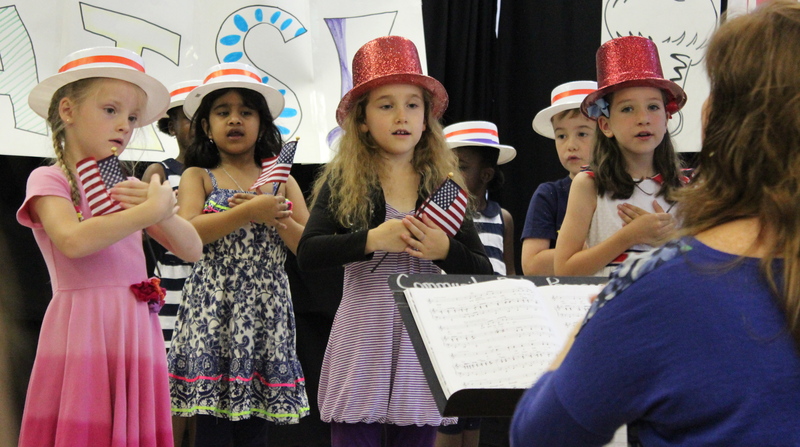 There was a very patriotic song about Uncle Sam’s red, white and blue hat. 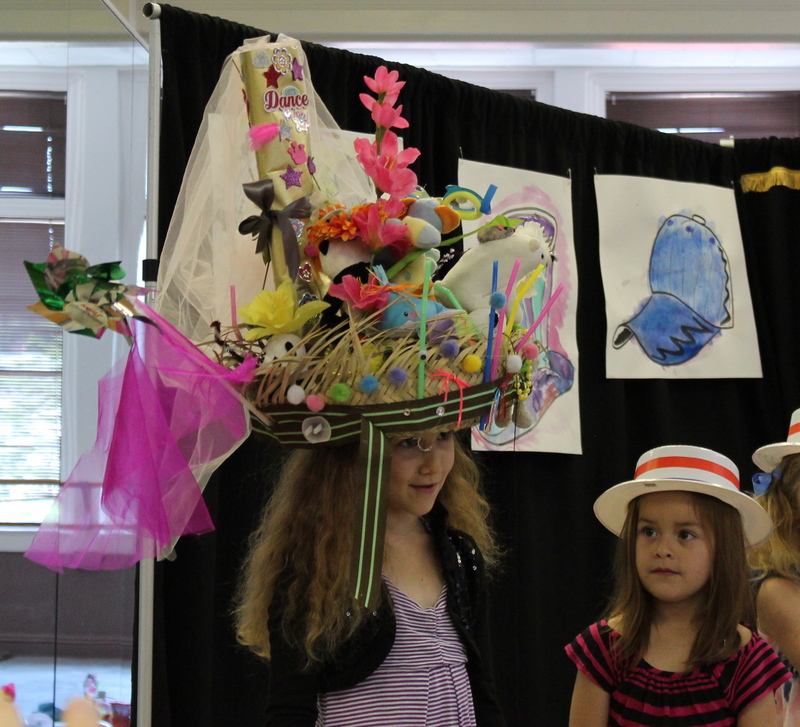 Here’s Ima in the hat she finally settled on…a Carmen Miranda inspired masterpiece which was made by all the children. “My head, my heart” – Edie belting out the closing number. Check out those facial expressions! The traditional after show party with the cast. 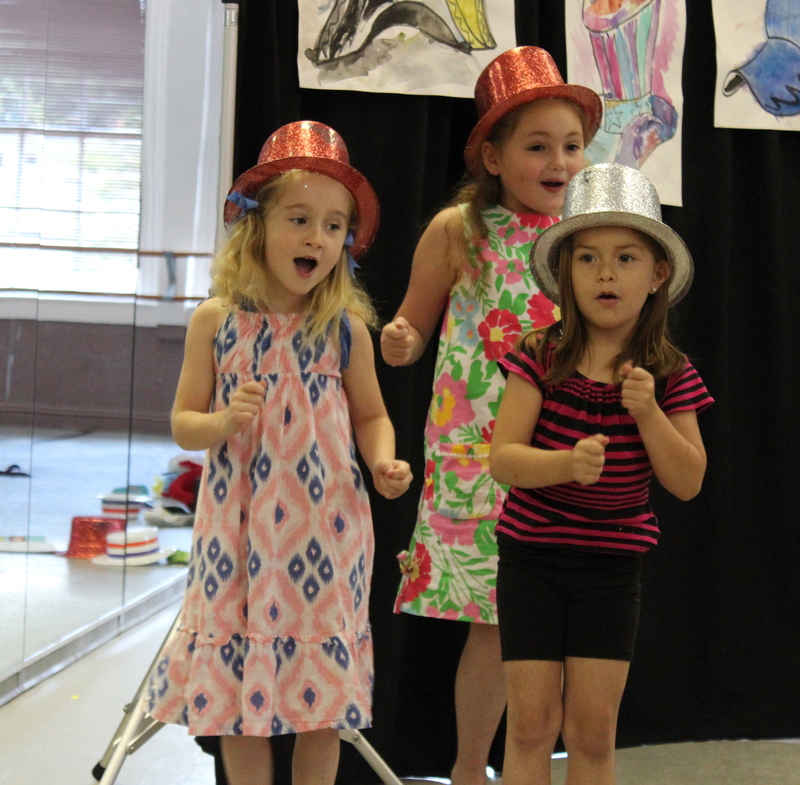 To say that the girls enjoyed their week of Hats! would be a monumental understatement – they adored it! 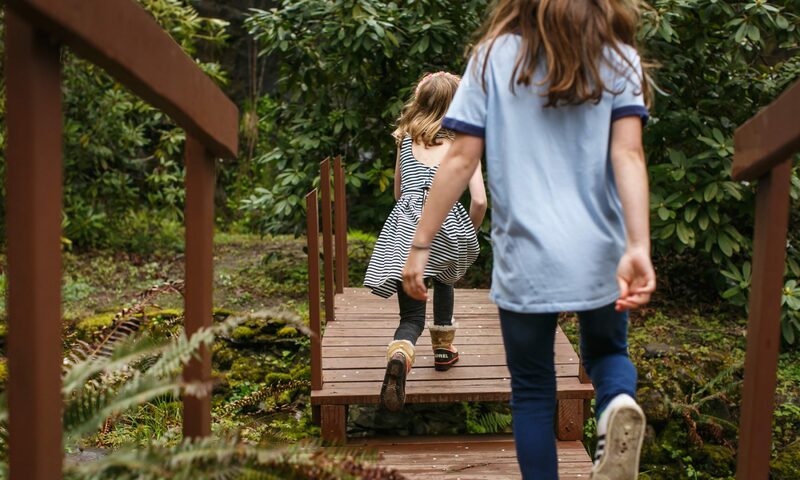 They leaped out of bed every morning (for Olive this is nothing short of a minor miracle) and bombarded me with “is it time to go yet?” every minute until we got in the car. 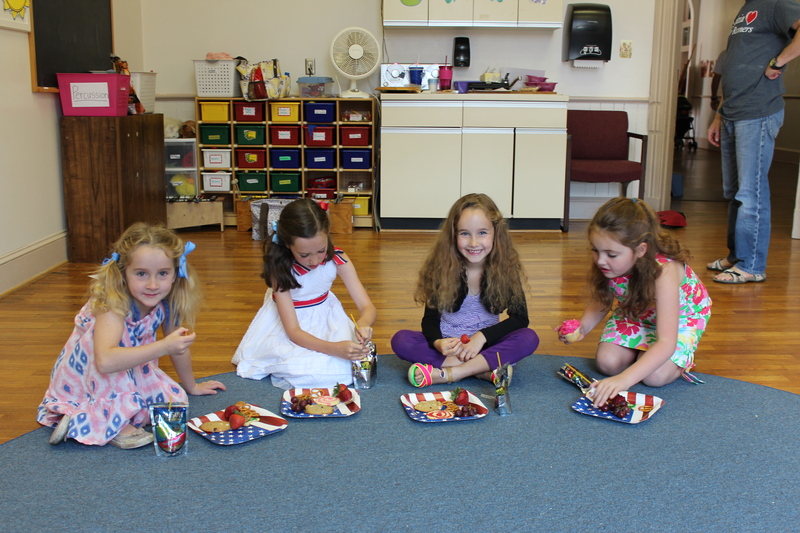 Their teacher was wonderful and the other children were just as enthusiastic – worth every penny. Olive and Edie have now decided to join up for the arts academy’s group singing class which begins in September. Methinks they have been bitten well and truly by the stage bug! Hi Miss Olga. Thanks for reading. The girls certainly got lots of chances for singing at Da Vinci 🙂 Hope you have a great summer. Yes it did bring back memories Mum – so happy to see the girls loving being on stage. In their elements! Always knew the girls would do great on stage. I remember a certain Olive taking the lead in our Summer Show as mummy leopard and who could forget the at the time still little Edie not being shy at all during her first show. Love the idea of the musical, might steal it to put in our Da Vinci idea box for shows too. Have a great Summer Croadies! Hope you have a great summer too and yes it did all begin in the gym at Da Vinci!